Fcancer reached out to me to present an exciting event they are organizing with Tod’s. I will leave the signification of the F in Fcancer to your imagination (Fight? F***?). One thing is for sure: the founders of this charity had a genius idea. 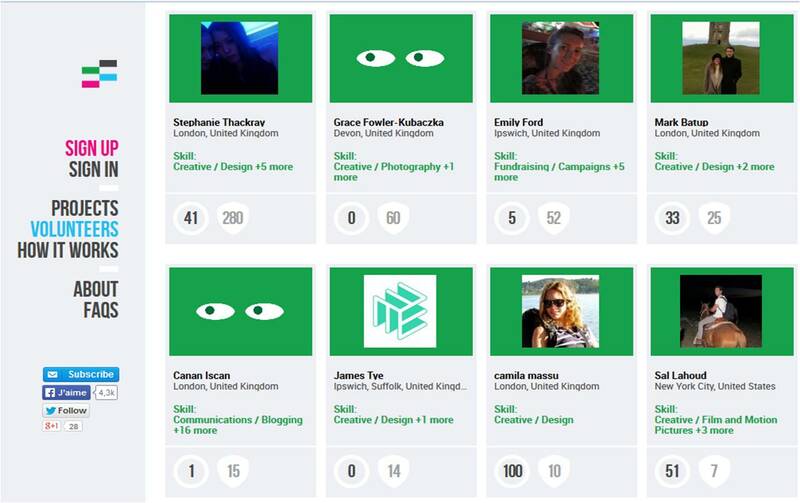 Fcancer is an online service that matches people willing to give a certain amount of their time and skills to charities involved in the battle against cancer. Though most of us have witnessed family and friends deal with cancer, we are not necessarily financially stable enough to make substantial donations. But here’s the thing: we all have skills that are more valuable than ever to charities when budgetary restraints are common. It can be writing, photography, web design, event planning, legal services, fundraising, accounting… By pledging hours and donating your skills, you will be rewarded in knowing that your work benefited a good cause (without breaking the bank). Do have a look at the Fcancer website to learn more on this charity and how you can make a difference. 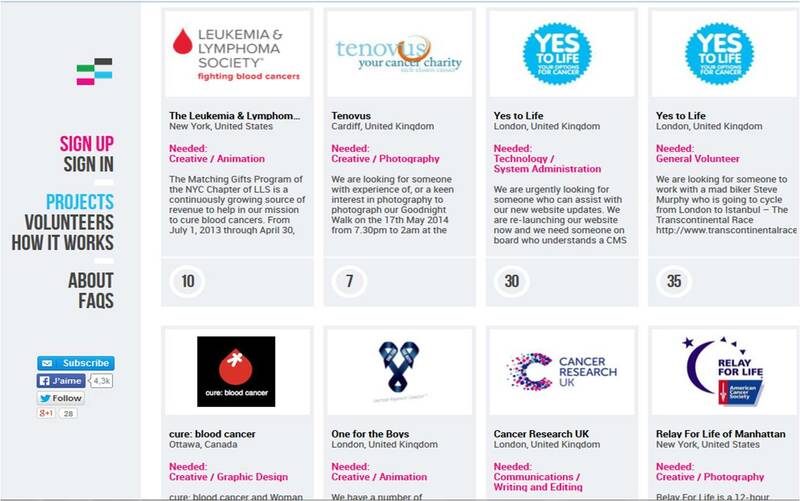 Founded in November 2012, Fcancer acts as a matchmaker between 1,000 volunteers and 40 cancer charities. None of the parties are charged for their services. Fcancer has helped charities save 21,638 hours of work and estimated savings of $1,298,280 in costs on research, treatment and prevention of cancer. Fcancer’s next goal is to develop the marketing, engineering, design and operations needed to reach the key step of engaging 5,000 volunteers around the world to join the fight. 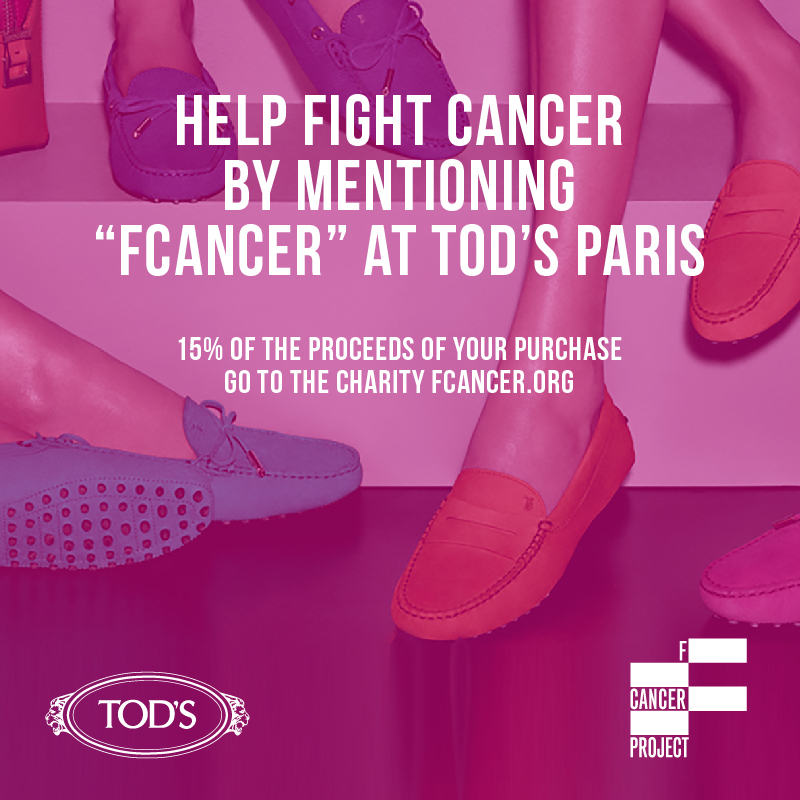 In order to reach it, Fcancer is raising money in partnership with Tod’s in Paris. 15% of the sales at the Faubourg Saint-Honoré store will benefit Fcancer until May 29th when you mention the charity at the till. I’d like to remind you that it is Mother’s Day on May 25th and that your maman would certainly be proud of you if her present benefited such a good cause. 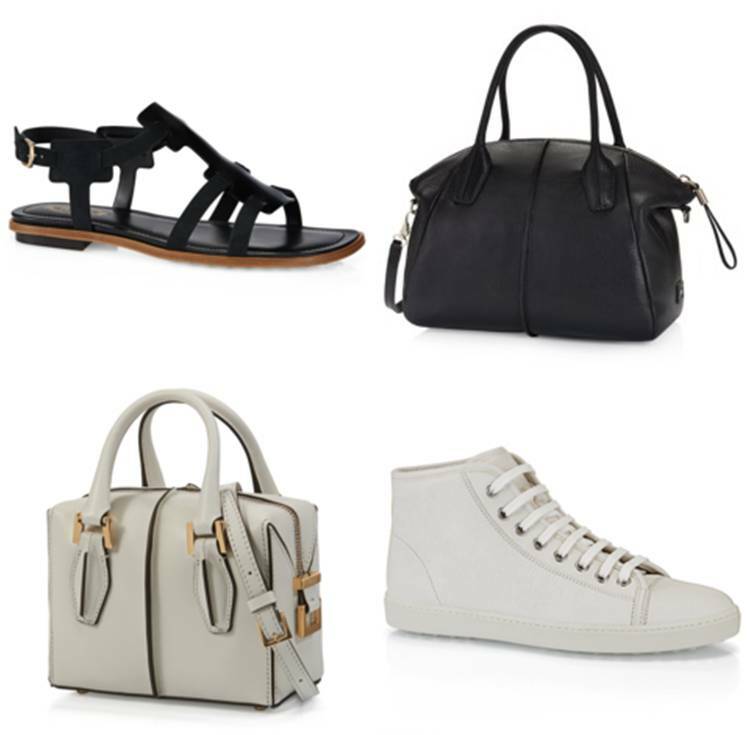 To help you in your shopping, here is a selection of my favorite Tod’s accessories. What a wonderful idea. Thanks for sharing it with us. I’ve just posted a link to your post on the ARTS in PARIS Facebook page.